Young designer Thabisa Mjo has a huge success on her hands as the creator of the 2018 Most Beautiful Object in South Africa. The annual award presented by the Design Indaba was won by her enormous light fitting, a stunning 10kg creation that drips from the ceiling in a colourful cascade called Tutu 2.0. “It’s big, and the size definitely adds to the wow factor. I love it because it is bold, beautiful and unapologetic.” This partly reflects her own personality. “I’m unapologetic about being who I am and doing the kind of work that I think will benefit people in my sphere of influence. That’s what I constantly aspire to be,” she says. Tutu 2.0 was influenced by the Xibelani skirts worn by Tsonga women, which remind her of a tutu. 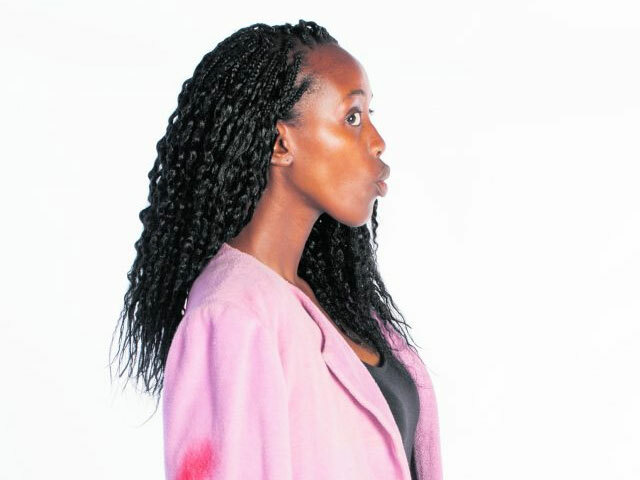 Her creation also won her the Nando’s Hot Young Designer title; she has supplied 50 of the light fittings to Nando’s outlets across the world, made by crafters at the Boitumelo Project in Hillbrow. Her furniture collection A Place at the Table pays tribute to the resourcefulness, innovation and cultural influence of her grandmother. Like the Mojo Chair, which is perfect for small living spaces with its foldable backrest so it can be used as a stool or a side table. Presents from Joburg is a tableware collection inspired by the city skyline, with salt and pepper shakers shaped like Ponte and Sentech towers. Her furniture and décor have won other awards including the 2017 Future Found Award by the Design Foundation, and she’s exhibited at 100% Design UK in London and the Maison&Objet exhibition in Paris.